The UK National Lottery operator Camelot, in partnership with Posterscope, celebrated the first day of the New Year by taking over Clear Channel’s entire digital estate in the UK to celebrate a record 347 millionaires made in 2016 and wish the nation good luck in 2017. 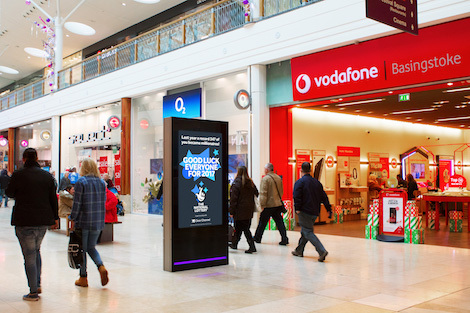 With almost 6,000 screens nationwide, Clear Channel is the UK’s largest provider of Digital Out of Home media, and the campaign will generate over 10 million impressions in the single day it will be live. 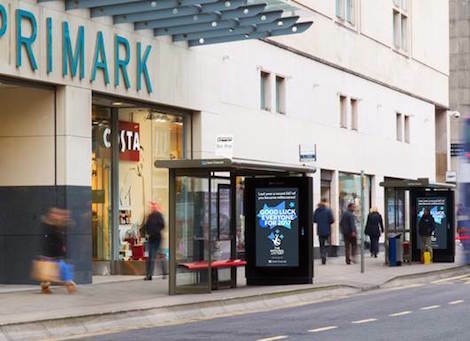 The campaign will appear across multiple DOOH environments and includes the UK’s first nationwide roadside DOOH network, Adshel Live, which has just celebrated its 2 billionth play and consists of nearly 1,000 state-of-the-art digital 6-sheets right across the country. The National Lottery’s ‘Good Luck’ campaign will also run across Clear Channel’s market-leading retail estate which includes Malls Live, recently-launched Malls Live XL, Sainsbury’s Live, Asda Live, Socialite and Forecourts – reaching thousands of shoppers in key locations as the January sales kick off and activating purchase decisions at point of sale. Camelot will also appear on Clear Channel’s nationwide Storm network of super premium digital screens. 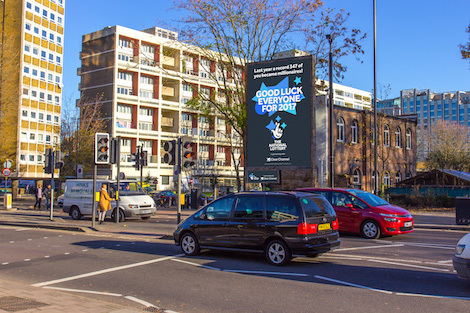 The ‘Good Luck’ campaign will take over iconic London DOOH sites such as Storm Chiswick Towers, the North London Towers, Shoreditch High Street and Borough High Street. 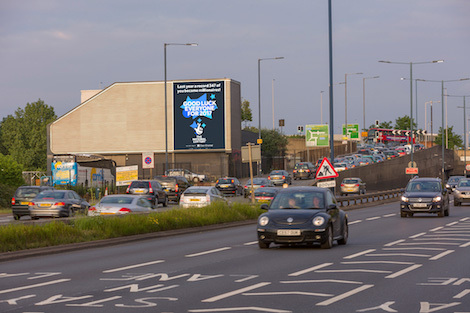 Across the UK, Storm The Mile in Leeds, Storm Liverpool Towers and Storm Mancunian Junction will also feature the ‘Good Luck’ creative, as well as Clear Channel’s 55-strong nationwide Wrap digital billboard network adding fame and prestige to the campaign’s national reach. This entry was posted on Tuesday, January 3rd, 2017 at 09:34 @440 and is filed under DailyDOOH Update. You can follow any responses to this entry through the RSS 2.0 feed. You can leave a response, or trackback from your own site.